Last week I was invited to a workshop which introduced a new product on the local market - BalbCare. 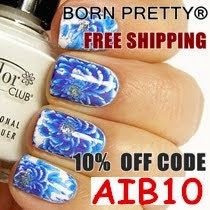 The event targeted people who either work in the beauty industry, or, like myself, are professional nail technicians. Truth be told, I had never before heard about this product - but I was highly intrigued by the fact that Balbare is a revolutionary system which offers waterless manicures and pedicures. Waterless I hear you say? But, introductions first and foremost. BalbCare is infact a small, purple, package [pictured above] which contains a pair of polyethylene gloves [or socks for pedicures] filled with a special mixture/lotion, plus a handy disposable orange stick and nail file. This means that BalbCare is super hygienic because you only use them once, after which you them throw away once you're done. The fact that you do not soak your hands in water also means that you are less prone to attract any germs/fungal infections [especially if the manicure/pedicure utensils are not properly sanitised]. Btw, BalbCare was first introduced to the Brazil Market, and is now a worldwide success - especially in countries like America and Australia. 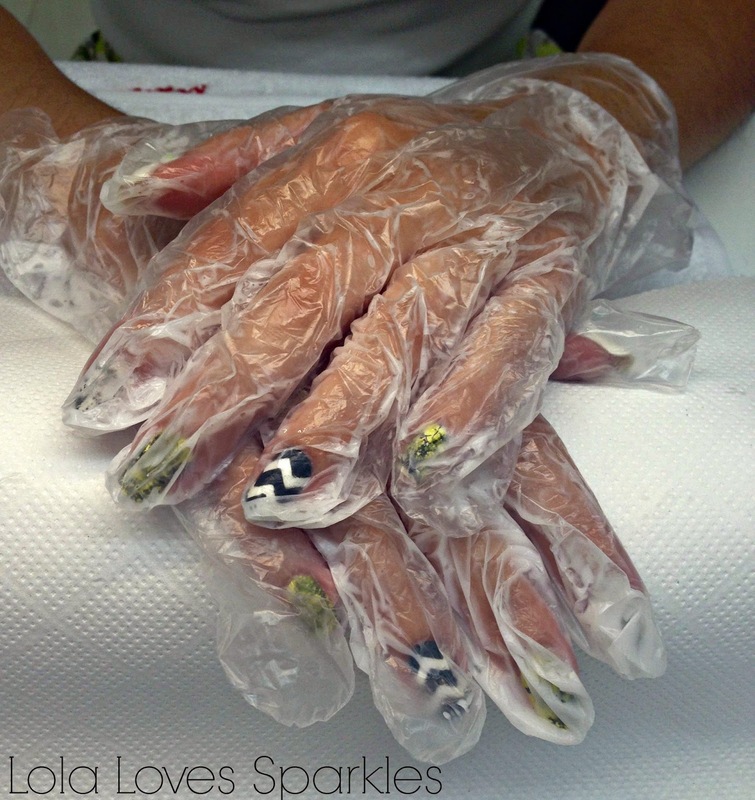 Around 100 BalbCare manicures and pedicures are done every single minute, can you believe that? You can read more about this product by visiting their website by clicking HERE. At the workshop we had the opportunity to test this product out on each other, and my partner in crime [whose hands are pictured above] was Lara from Every Beauty Addict's Bible. It was a blast, and I must tell you that your hands feel super amazinggggg once the manicure is done! Plus the result is visible upon the first application. 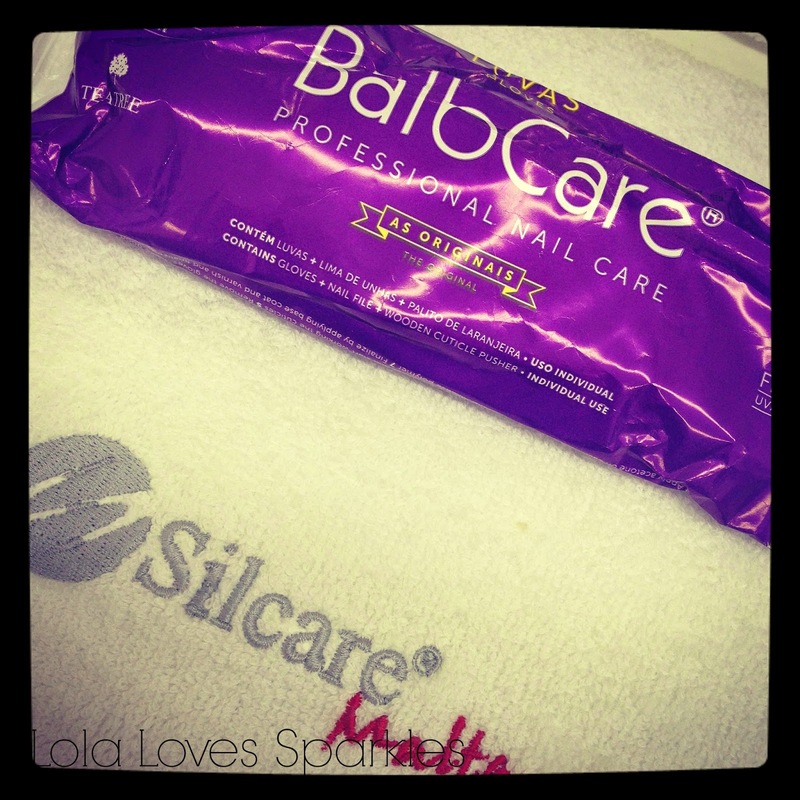 You can get a BalbCare Manicure for only €5 [in Malta and Gozo], how affordable is that? Plus, it only takes about 15 minutes from start to finish, so you'll be in and out in a jiffy. Check out my nail page Nail Candy by Lorraine too! *** All photos are the property of Raymond Muscat | Email: muscray@gmail.com unless they have my watermark on them or stated otherwise. Would you be interested in BalbCare?